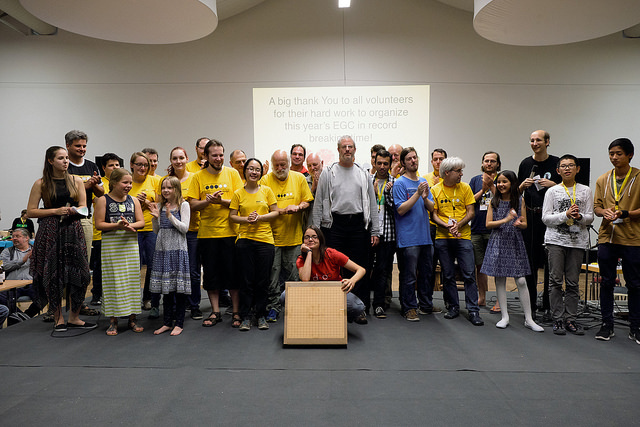 Following the first week, ruthless battles on go boards and the feast of friendship amongst hundreds of go enthusiasts continued to occupy the peaceful mountain village of Oberhof. 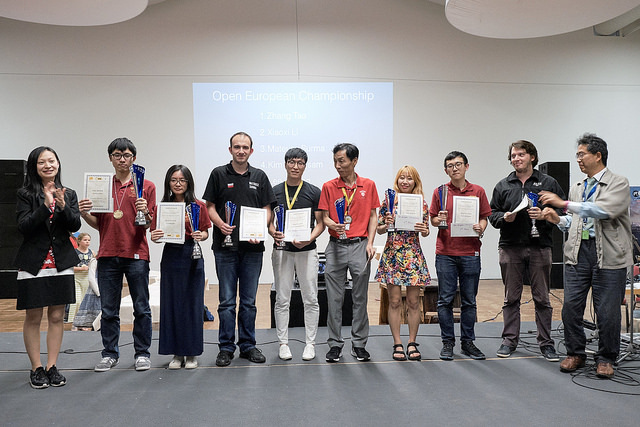 As the Open European Championship entered its “yose” stage, numerous exciting side events continued to take place and brought us many exciting games. 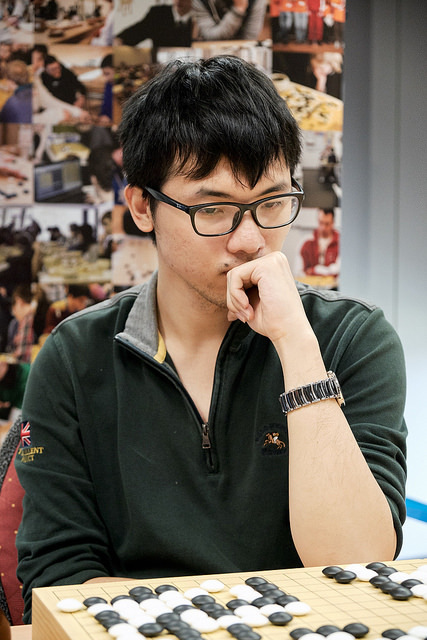 Foreseeably, Zhang Tao 5p from China won the Open European Championship undefeated after 10 rounds. The fight for the remaining places was more closely contested. The final standings of the top 10 places is shown below. The Pair Go Championship is divided into two categories – the Open Pair Go Championship and the Pair Go Handicap Championship. The Open Championship this year attracted a particularly large number of strong pairs owing to the many strong visiting players – amateur and professional – from China, Japan, Korea and the US. 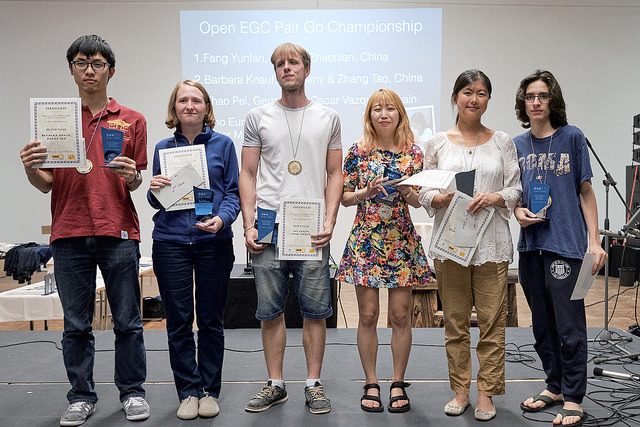 After two days of competition, Fan Yunfang 4d/Chen Zhaonian 7d defeated Barbara Knauf 3d / Zhang Tao 5p in the final to become the Open Pair Go Champions. In the handicap category, Yoon Youngsun 8p / Zion Kim 17k secured their victory after defeating their opponent, Jasna Medak 20k / Robert Medak 7k. Zhao Tao 5p won the tournament once again, undefeated in the rapid tournament. In second place came Sun Peifang 7d. The best European player was Nikola Mitic who finished in 6th position. Another highlight was without a doubt the artificial intelligence related go events. This year Fan Hui 2p gave several educational, yet entertaining, lectures on Alphago games and shared the results of his study with us. In a separate event, guests professional players were invited to play against computer go programs. Ohashi Hirofumi 6p lost against DeepZen and Li Ting 1p defeated LeelaX, defending the honour of humanity. All the pictures that appear in this article were taken by Mikhail Krylov.